The packaged consumer foods company, Kraft Heinz has announced five food and drink startups for its second round of Springboard incubator program. The second incubator class includes Blake’s Seed Based, BRAMI, Ka-Pop! Ancient inGRAINed Snack Co™, Origin Almond®, and Tiny Giants, brands which Kraft Heinz says are the ‘next generation’ in the food & beverage space. The selected startups will benefit from a dynamic program composed of learning, funding, infrastructure access, and mentorship in the United States. Kraft Heinz launched Springboard in 2016 with an aim to nurture, scale, and accelerate growth of disruptive brands, focused on four growth pillars namely: Natural & Organic, Specialty & Craft, Health & Performance, and Experiential brands. Blake’s Seed Based makes allergen-free snacks and protein bars, available in flavours such as raspberry, pineapple, and mango lemon and Brami produces a range of shelf-stable, marinated lupini beans that are high in plant protein and fibre. Ka-Pop! aims to replace empty calories with its four-strong line ancient grain popped chips, while Tiny Giants offers a range of plant-based yogurts aimed at children. 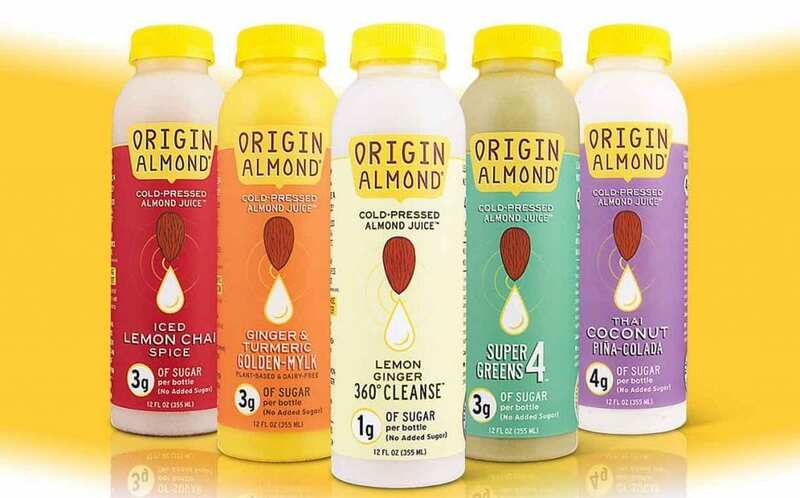 Origin Almond uses cold-press technology to extract the liquid essence of almonds and create a range of juices. “We had an incredibly competitive group of applicants. All five companies in our second Incubator class offer delicious products that cater to the better-for-you offerings consumers are demanding,” said Kelly Reinke, Springboard Incubator Lead. Last year’s Springboard class included Ayoba-Yo, Cleveland Kraut, Kumana, Poppilu, and Quevos. Kraft Heinz is among other companies investing and supporting smaller and upcoming brands. In November 2018, Kraft Heinz announced US$200 million deal to acquire the US based condiments and sauces maker, Primal Kitchen, which it said will join the company under Springboard unit.